Want to make your own history by wearing it? 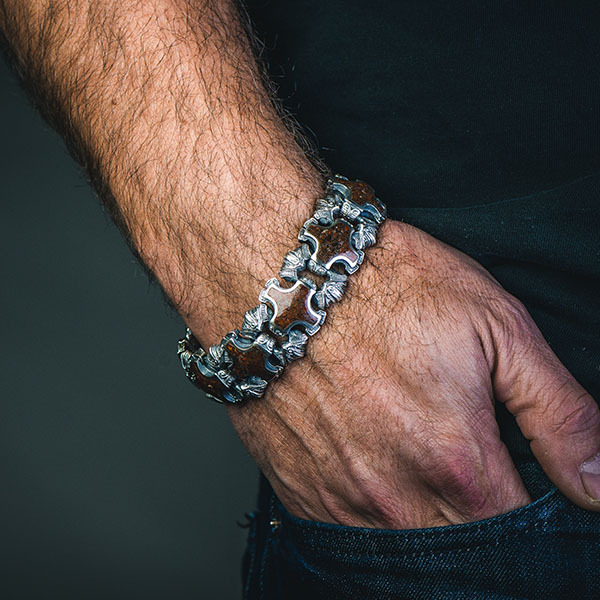 The 'Grandis' features heavy sculpted sterling silver links inlaid with dinosaur bone that dates back at least 100 million years. Found in the American West, this organic fossil has now petrified into remarkable stone with fine patterning and distinct colors that vary from piece to piece. No two fossils are alike, so every piece we cut and inlay is unique and tells its own story. Finished with our stainless button lock clasp inlaid with a genuine diamond. This piece features one of our hallmark materials. These natural materials owe their patterns and distinctive color palette to the specific and often unique conditions in which they came to exist. Because of the fossilization process, soil composition and meteorology, these rare fossils, exotic woods, shells and rocks can show dramatic differences in color and pattern, making every piece a one-of-a-kind. a rare and precious personality statement that will accompany you for a lifetime before being handed down to another generation. Please note that for these reasons, when you buy a William Henry featuring one of our unique materials, the piece you receive may look different from the one shown on our website. A truly original one-of-a-kind. Sterling silver is an alloy of silver containing 92.5% by mass of silver and usually 7.5% by mass of copper. The sterling silver standard has a minimum millesimal fineness of 925. The sterling alloy originated in continental Europe and was being used for commerce as early as the 12th century in the area that is now northern Germany. 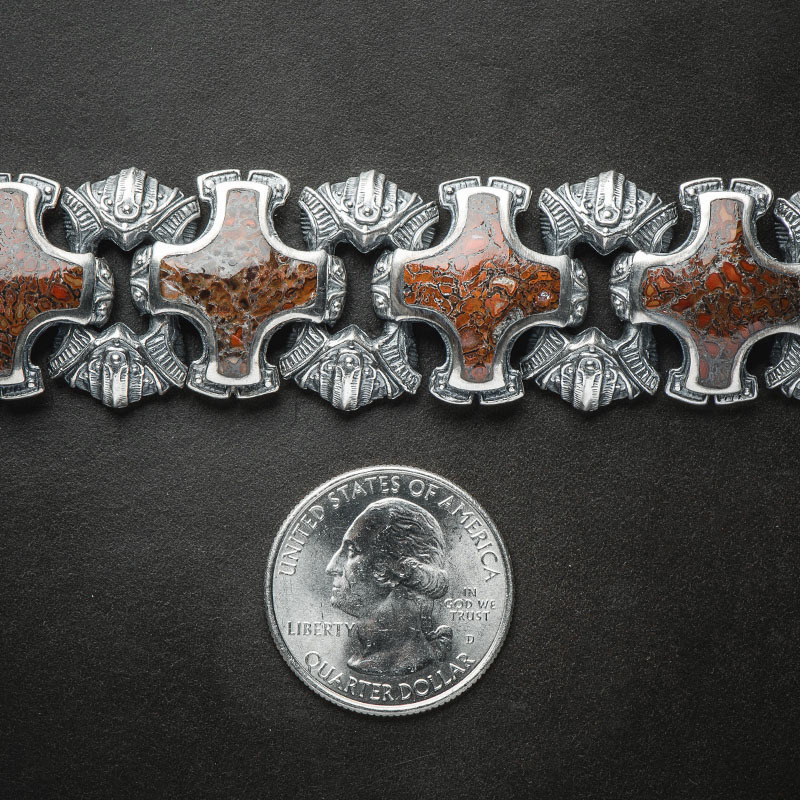 William Henry uses the latest state-of-the-art casting equipment to create mesmerizing pieces that are often considered par with our hand-carved work. Dinosaur Bone is probably the most exotic of our fossil materials — the fossil comes from a 100 million year-old Apatosaurus. 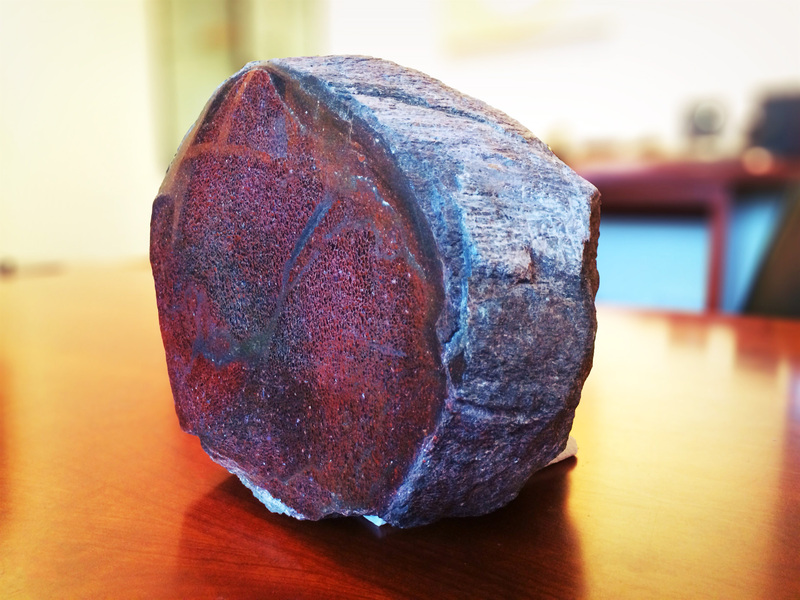 Found and sourced in Utah, dinosaur bone offers the possibility of owning one of the most ancient zoological testaments of the planet. The colors can vary from red to brown, black and green, depending on the minerals surrounding the bone as it became petrified. Here is a stunning 40lb specimen we shot here at the studio. The world’s love of diamonds had its start in India, where diamonds were gathered from the country’s rivers and streams. Some historians estimate that India was trading in diamonds as early as the fourth century BC. The popularity of diamonds has risen since the 19th century because of increased supply, improved cutting and polishing techniques. Aside from our jewelry collection, William Henry also inlays diamonds in pocketknives, pens, and money clips.